Where do I use my Blossoming Gifts voucher code? Select your discount and, if applicable, copy the voucher code that appears. Follow the link to the Blossoming Gifts website and make your selection. Enter the recipient details and any personal messages. Review your order and paste your code into the ‘Discount Code’ box at the bottom of the page. Proceed to checkout and enter your details. Whether it’s to celebrate a birthday or anniversary, to say thank you or just because, Blossoming Gifts’ affordable flowers offer the perfect bouquet to suit all budgets. Handpicked and made with care, Blossoming Gifts flowers do not compromise on quality. Send birthday flowers designed with your lucky recipient in mind. Beautifully crafted by expert florists and delivered with care to your loved one's door. When you need Birthday gifts, only the finest will do. Birthday Flowers from Blossoming Gifts are made with the freshest stems and are designed to last for 7 days, prolonging your birthday wishes. Enjoy Blossoming Gifts free flower delivery service and send your flowers by post. Blossoming Gifts affordable flowers sent by post are packaged beautifully to ensure that they arrive in the best condition. Order by 6:30pm weekdays to receive next day flowers. With Blossoming Gifts you can send flowers by post 7 days a week. Order by 4pm on a Saturday for Sunday Flower Delivery. Blossoming Gifts streamlined packaging promises for a safe flower delivery across London and the UK. 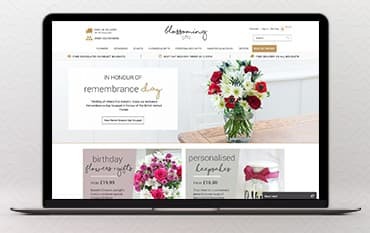 And, you can now make the gift of flowers even more memorable by including a personalised message for free. There are always extra gifts that you can add on too. Choose from a range of items including a vase, teddy bear, cake or box of chocolates to really your loved one smile. Blossoming Gifts have the ideal floral gift for all occasions. They have beautiful bouquets, and plants suitable for birthdays, congratulations, new baby and sympathy. They also offer Flowers by Post, which are packaged with care to arrive in tip-top condition. Order by 7pm and they will be delivered the very next day. All Bouquets are delivered for free and come with free chocolates. You will also find a range of gifts including chocolate treats, wines and hampers. Check out their latest offers at NetVoucherCodes.